SA farm manager Craig Brewin has announced the latest round of results from the Multimin Performance Ready Challenge, a 12-month program run by animal health company Virbac Australia. The Multimin Performance Ready Challenge has given seven Australian farmers the chance to experience firsthand the benefits of Multimin trace mineral injections. Challengers receive 12 months of free Multimin product and a tailored nutrition program developed by leading industry mentors. With each challenger sharing their program results and experiences, Brewin has been paying particular attention to how Multimin contributes to increased fertility, conception and weight gain, supported by expert advice from mentor Dr Colin Trengove—a vet, University of Adelaide lecturer, and managing director of Pro Ag Consulting. Operating from Maranoa Downs, 20km west of Naracoorte SA, Brewin runs predominately Angus cows, which are joined to Wagyu bulls to produce feedlot-entry cattle. After running multiple trace element tests on cattle of various age groups over the years, Brewin discovered ongoing issues with cobalt, selenium, copper and manganese deficiencies in many of his animals. Under the guidance of Trengove, Brewin decided to trial the effects of Multimin on the general health and weight gain of his calves. 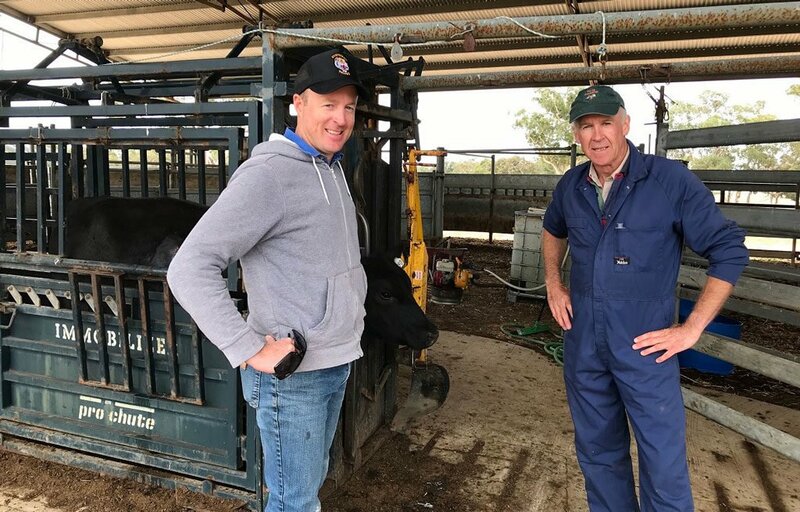 “We treated 50 per cent of our calves with Multimin at marking and weaning and plan to treat the same calves again three months post weaning,” Brewin said. “The other 50 per cent were left untreated and used as a control mob. When comparing the weights of the treated and untreated steers in August 2018 and again in January 2019, we found a modest weight gain advantage in the treated steers. Although weight gain increases are not always attributed to trace minerals, it is possible that Multimin helped improved the immune function of the steers, and hence provided them with a better opportunity to grow. Outside of the Multimin Performance Ready Challenge, Brewin ran a second test focusing on the effects of Multimin on fertility. The result was “a 96 per cent conception rate, which is phenomenal”, Brewin said.